E0, or ethanol-free gasoline for boaters may be hard to come by this summer as a result of the Renewable Fuel Standard mandate forcing more ethanol into the fuel supply. As Democrat presidential candidates turn their attention to South Carolina, it is worth considering how a particular federal law that both candidates support wreaks havoc on the state’s boaters. That law is the Renewable Fuel Standard (RFS) and it has led to some significant, albeit unintentional, negative consequences for owners of the roughly half-million boats registered in the Palmetto State. When gasoline containing ethanol and boats mix, boat owners lose. That’s because of something called “phase separation” – think oil and vinegar – that can turn fuel stored in a boat’s gas tank into corrosive, water-soaked ethanol mixture, unusable in any engine. Half of those who responded to a recent informal national survey by the Boat Owners Association of The United States (BoatUS) said they have had to replace or repair boat engine or fuel system parts because of suspected ethanol-related damage. The average cost for these repairs was $1,000. The federal ethanol mandate requires increasing amounts of biofuels – primarily corn ethanol –to be blended into America’s gasoline supply every year. In part because of the mandate, more than 90 percent of American fuel today is E10, or 10 percent ethanol. In addition, higher ethanol-blend fuels such as E15 are becoming more prevalent in the marketplace, even though federal law prohibits the use of 15 percent ethanol in marine engines, ATVs, motorcycles, lawnmowers or any cars made before 2001. 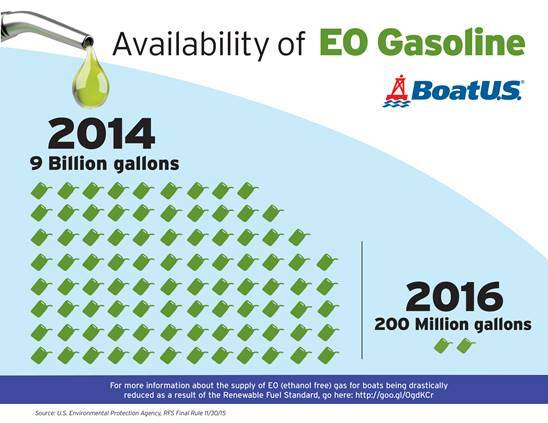 Boaters have long preferred ethanol-free gasoline to other fuels, so much so that many refer to E0 as “marine fuel.” However, our country’s supply of E0 is projected to be reduced dramatically from over 8 billion gallons in 2014 to just 200 million, possibly as early as this summer’s boating season. E0 is in effect being pushed out of boat fuel market to make room for the RFS’ mandated E15 and other higher ethanol blends. The prospect of this disappearing act has the boating community in South Carolina and around the country extremely concerned. Correcting the RFS before it wipes out the availability of E0 for boating families and wreaks additional havoc on marine engines is the responsibility of our next president—perhaps Secretary Clinton or Senator Sanders—and Congress. Ted Cruz, by becoming the first candidate to win Iowa while opposed to the mandate, shows that supporting the RFS is not a political necessity. It is now time to fix this broken law. Thankfully, there are bipartisan ideas to fix the ethanol mandate in Congress, but the question remains whether our elected leaders will act and solve the problem. America’s boaters, and certainly those in South Carolina, hope they will. Boat Owners Association of The United States (BoatUS) is the nation’s leading advocate for recreational boaters providing its over half-million members with government representation, fighting against unfair federal taxes, fees and regulations that single out boat owners. 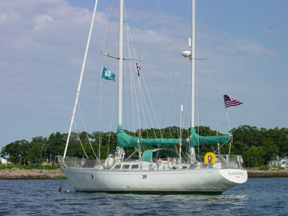 BoatUS is also non-partisan and works with state agencies to promote boating laws that make sense.